6) Copy the video's URL from the website where it is hosted and paste the video URL into the "Source" field. 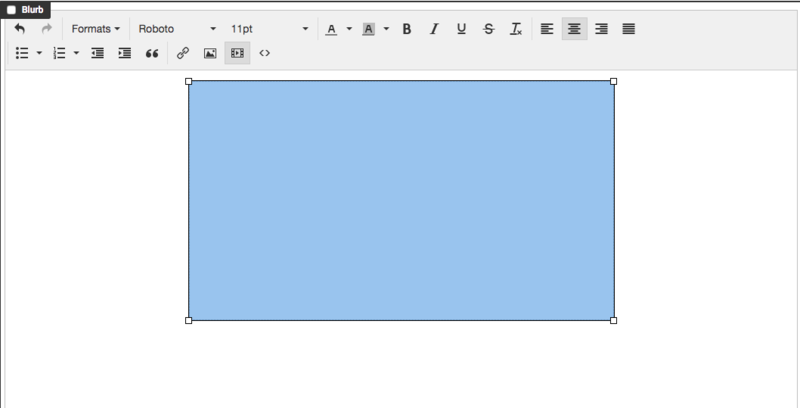 You can also set specific dimensions for the size of the video player in the boxes at the bottom. Click "Ok" to finish. 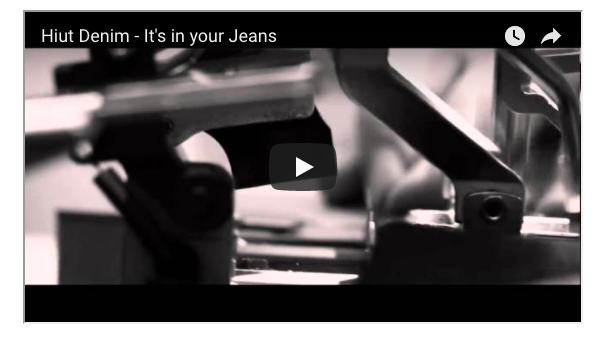 8) Once you click the save icon at the top the video should appear. You can also use the "Embed" function to insert videos in your blurb. 2) Click on the Embed tab in the video panel. 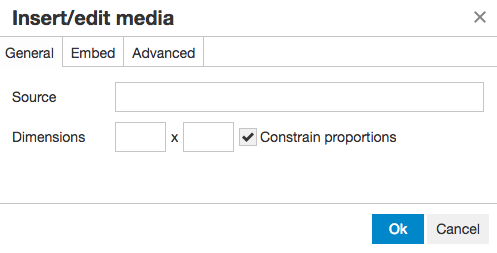 3) Right click on a video from Youtube, Vimeo, etc and copy the embed html. 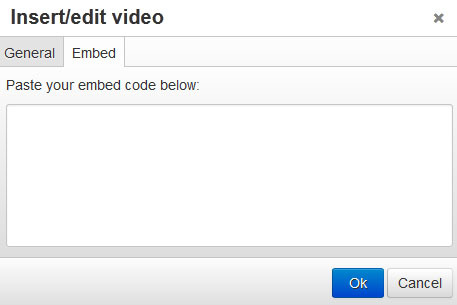 If you don't know how to find the embed code on Youtube, click here. 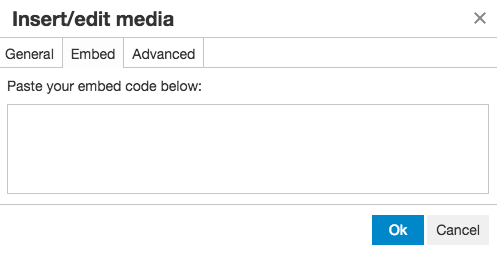 4) Paste the embed code in the box and click "Ok"